 When renting a property in Tasmania, there is an agreement, called a ‘lease’, or ‘tenancy agreement’, between the owner and the tenant. The owner might be represented by an agent. A lease can be written or can be oral, or partly both. It is recommended that it be written, stating all the terms of the agreement. Any changes to the agreement should be recorded in writing, such as rent, length of lease, etc. The owner and tenant cannot agree to things that are not allowed under the Act. If the agreement is in writing, the owner must give the tenant a copy of the agreement within 14 days of beginning the tenancy. The agreement should be easily legible, clearly expressed, and printed in a font size of 10 points of more. The owner should give the tenant a copy of the Rental Guide booklet (pdf, 512.5 KB). Copies are available from Service Tasmania shops. If the property has strata title rules that must be followed, the owner must give the tenant a copy of the rules at the time of entering into the agreement. commercial property (e.g. shop leases). Visit the Retail Tenancy page for more information. properties let under the Retirement Villages Act 2004. Visit the Retirement Villages page for more information. If a lease has an expiry date then it is called a fixed term lease. Fixed term leases must be for at least four weeks. The owner cannot ask the tenant to move out before the end of the lease date unless the tenant has broken a condition of the lease. This is the case even if the property is sold; however, a tenancy can be terminated if the bank forecloses due to the owner defaulting on their mortgage. Where a tenant continues to live in a property and pay rent after a fixed term lease ends, but does not sign a new lease the agreement immediately becomes a non-fixed-term lease. For details of what happens at the end of a fixed term lease see the section Ending a fixed term tenancy agreement. If a lease (written or verbal) does not have an expiry date then it is called a non-fixed-term lease. For further information see what happens at the end of non-fixed-term lease.